JKN HEATPUMPS A renewable's consultancy, design and installation company specializing in GSHP, ASHP, UFH, MVHR, Solar Thermal and all aspects of heating and cooling design associated with such technologies. Able to provide a full Design service from Domestic through to large scale commercial projects, the more unusual the project the more we enjoy getting involved. Consultancy We offer anyone our initial ideas and advice but we can also back these proposals up with full heat loss calculations, detailed running cost/carbon/energy use projections with comparisons and alternatives to assist with feasibility studies. 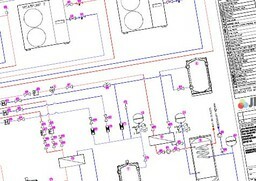 We also offer a design service for; plant room schematics, full pipe sizing & layouts, ground loop plans, UFH layouts and electrical designs for heating controls. Installation We can provide a range of installation services, from connection of ground loops, plant room installation, primary pipe work, domestic hot & cold services, solar thermal, under floor heating, floor insulation and screed, UFH controls and MHRV (Mechanical Heat Recovery Ventilation). Design & Commission For installers less familiar with renewable heating systems we offer varying levels of the above consultancy and design services along with heat pump designs to MIS-3005 and a commissioning visit from JKN. 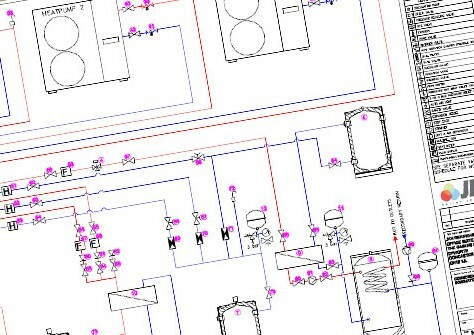 This way you can outsource the design and still have the peace of mind of knowing the system will be commissioned by a qualified engineer. Service/Maintenance or your peace of mind and the longevity of your system & its warranty we can offer on-going maintenance contracts for heat pumps, solar and UFH systems.